Tech Bytes are short, sponsored conversations on the latest technologies and products. Today’s episode is sponsored by VIAVI. Our guest is Charles Thompson, Sr. Director of Product Line Management at VIAVI. We talk about performance management and the essential role that end user experience metrics play in turning piles of data into actionable insights. 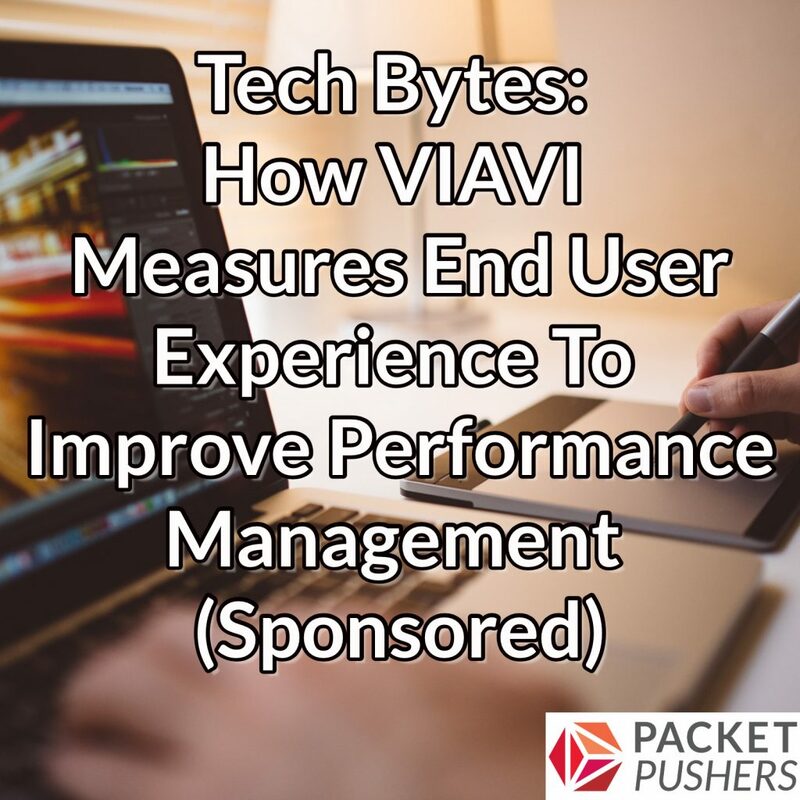 We also discuss how VIAVI gathers end user performance metrics through synthetic transactions, and how it ties those metrics into problem isolation to help troubleshoot and resolve problems faster. To learn more about VIVAI, check out viavisolutions.com/packetpushers to access a 14 day free trial of its ObserverLIVE platform, and receive a complementary copy of VIAVI’s enterprise protocol poster based on the OSI model.